http://JoRead.booklikes.com JoRead 3.0 Audiobook review: Wishful Drinking by Carrie Fisher, narrated by author. text Audiobook review: Wishful Drinking by Carrie Fisher, narrated by author. 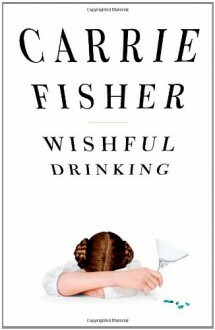 Wishful Drinking - Carrie Fisher I'm not much of a fan of memoirs or autobiographies but you know, Carrie Fisher. Parts melodramatic, parts hysterical. Overall it was an ok way to past the time. I might review it later when I'm less sleep deprived. For now, I'll just say: if you loved Carrie and you haven't read this, give it a shot.